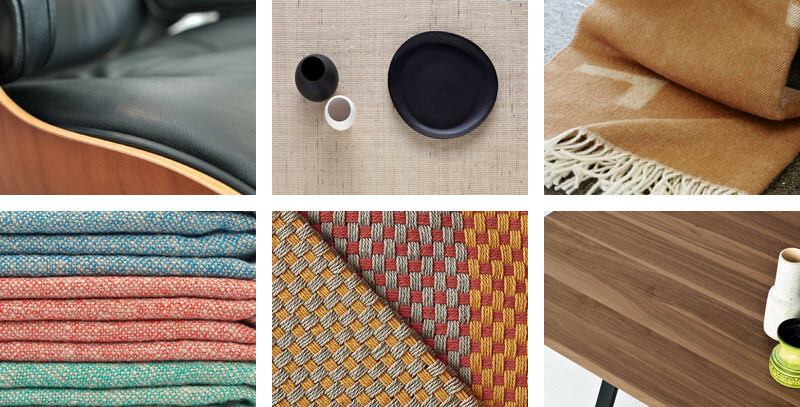 Choosing materials for your home often comes as an afterthought, so we’ve created a handy guide to help you elevate and create interesting dimensions within your space. If you’re a fan of styling your home with a harmonious palette, texture becomes the star of the show for creating a space full of depth and visual interest. 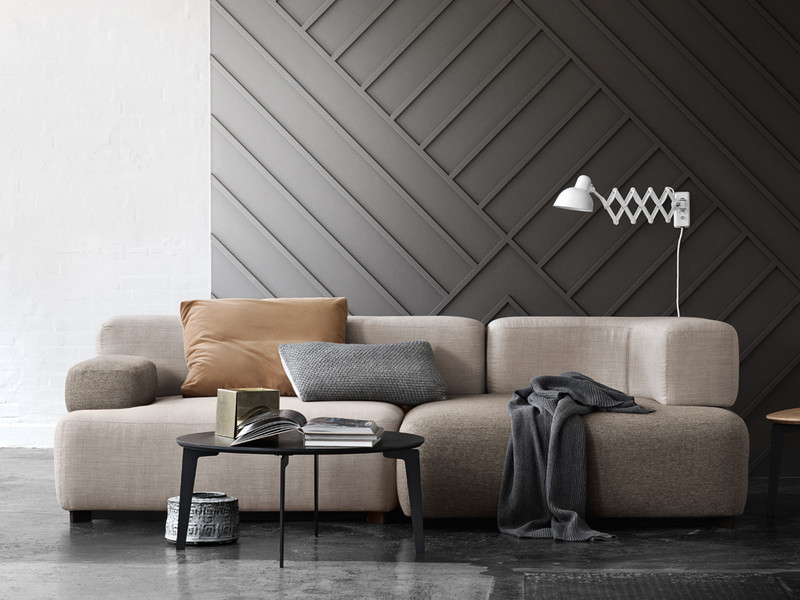 As monochromatic shades will blend together, it is key that you incorporate subtle colour changes and a dynamic mix of textures that create uneven surface textures for a play on light and shadows. With its visuality as well as its tactility, texture can be used to create a truly interesting environment both to look at and to touch. A singular colour themed room with distressed wooden floors, shaggy rugs and smooth, sleek furniture will be left looking anything but flat! When it comes to selecting a texture for your home, practicality is a must. Will your material sit in direct sunlight? Then avoid a material that is prone to fading and discolouration such as leather and silk and instead, opt for materials such as linen. For households with pets or young children steer clear of delicate and easily stained fabrics and choose durable materials such as wool or leather. Whilst a long pile, shaggy rug may exude cosiness and warmth, it’s best to avoid long fibred rugs in high traffic areas as they can be a potential trip hazard. 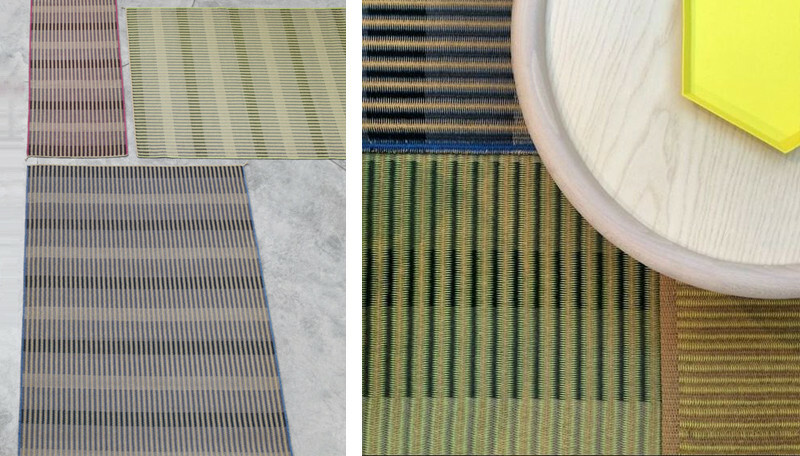 The best alternative would be a paper rug - we love the Hay Paper Carpet for a minimalistic splash of colour. Material choice should undoubtedly be a priority when it comes to dressing your space. Rugs, for example, are heavily defined by the materials they are made from. Wool is a common choice and makes up a large proportion of our collection here at Nest. As a material, wool offers numerous advantages. It is a natural fibre that offers comfort and warmth, it is also hard wearing, fire resistant, dirt repellent and insulates sound. See below for more information about wool and some of our favourite woollen pieces! 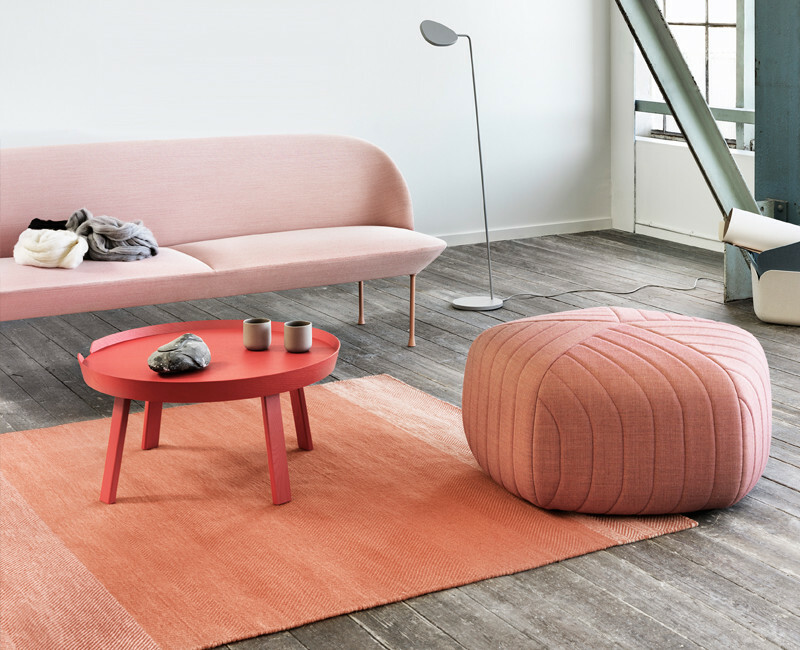 The Muuto Ply Rug is a Nest.co.uk favourite made from 100% New Zealand Wool and available in an array of colours! 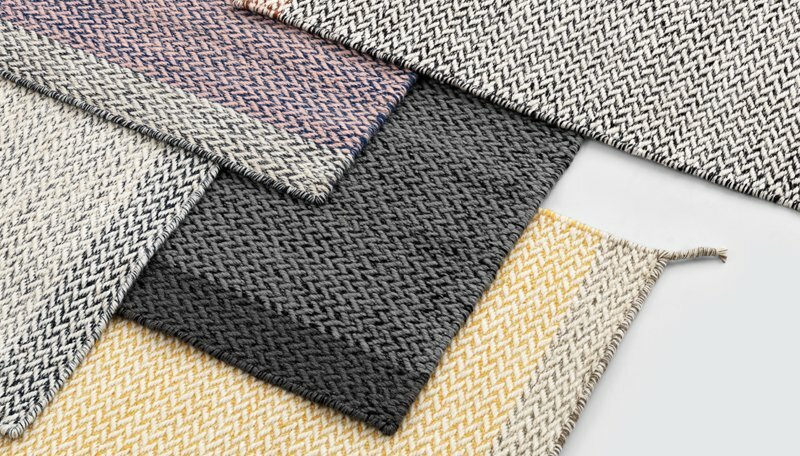 Alternatively, woven paper is an excellent choice for modern homes. 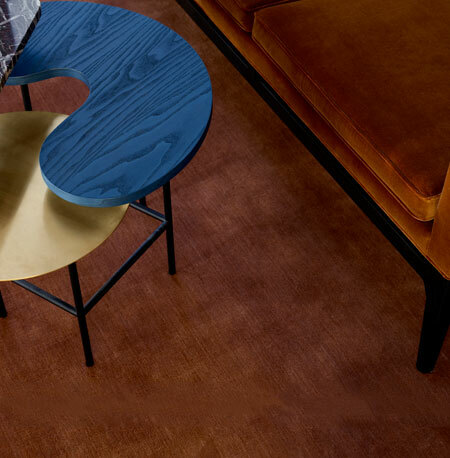 As well as the Hay Paper Carpet, the Two Ways Rug is an excellent choice for a low-key contemporary look. Waterproof rugs are also available for those wanting to use their rug outdoors. 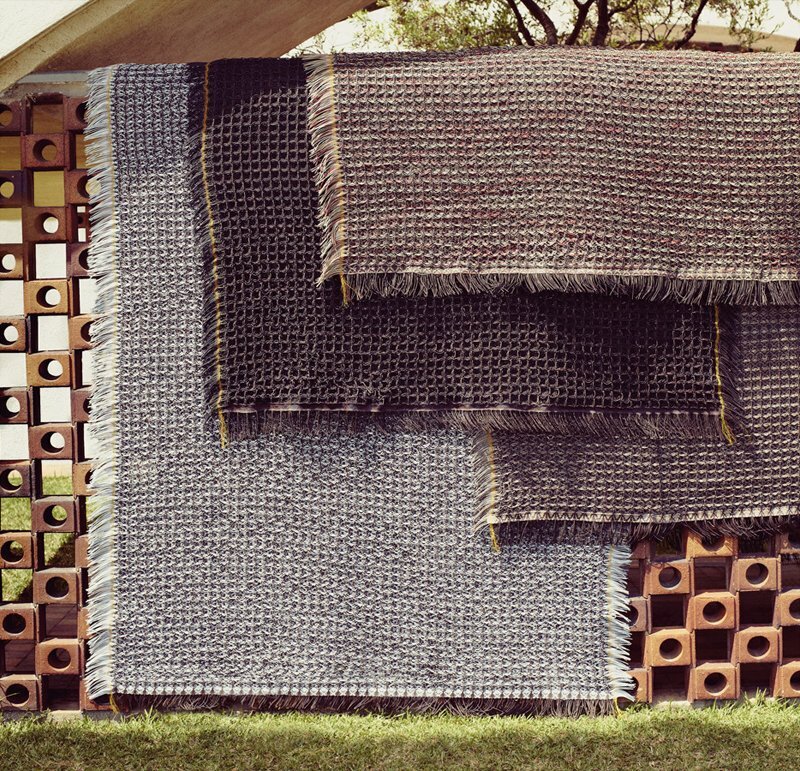 Kettel’s Objects Rug is made from man-made fibres and is water repellent. Playing with the way textures interact with light allows you to add extra character and depth to a space. Different textures either reflect, absorb or diffuse light in its own unique way. Silk and satin posses lustrous qualities that reflect extra rays within a space, giving the effect of a lighter room. Not only do these fabrics allow a room to appear lighter but they also provide a deeper, vivid looking colour due to the fabrics ability to hold a large amount of dye saturation. 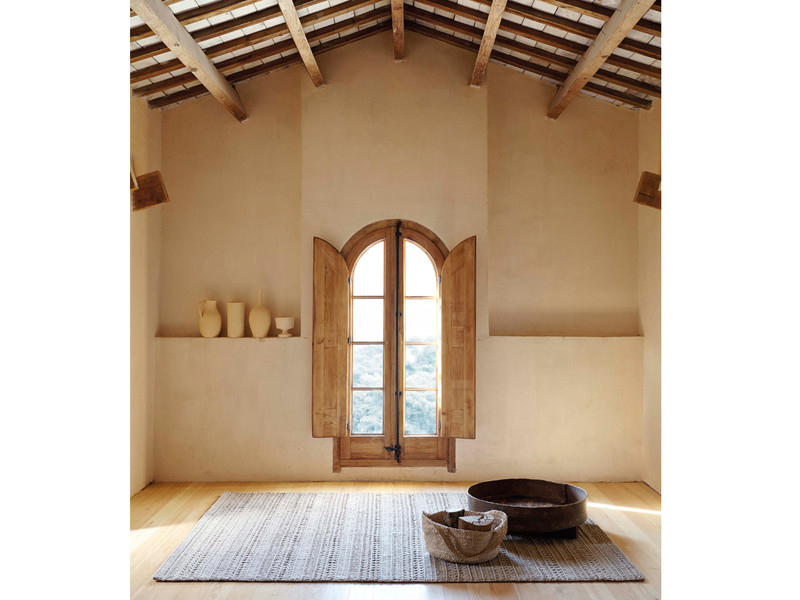 Want a cosy rustic feel to your space instead? Rough, absorbing textures provide a feeling of warmth in contrast to smooth, reflective surfaces. Fabrics such as linen and wool absorb light and the impact of their colour has a more subtle appearance. Weathered wood and rough stone are ideal tactile textures for flooring and walls for building a sense of warmth and comfort. As a rule of thumb, use reflective materials when more light is needed and use darker, absorbent materials when the level of light within a space is too much, or to create a cosy feel. When we think rustic we envision a warm, welcoming and cosy environment with an emphasis on natural and organic materials. Emphasise the quality of natural elements within your home by adding heavy and light absorbent textures to capture a rustic feel. Deep pile, woollen rugs provide a welcoming and soft feel to a room, and go perfectly with hardwood floors. Indulge your space with a touch of luxury by selecting opulent textures. Include velvet within your décor to lend softness, warmth and extravagance. Velvet offers a deep colour and a rich texture due to its dense pile that casts pools of light and dark to capture a shimmering appearance. 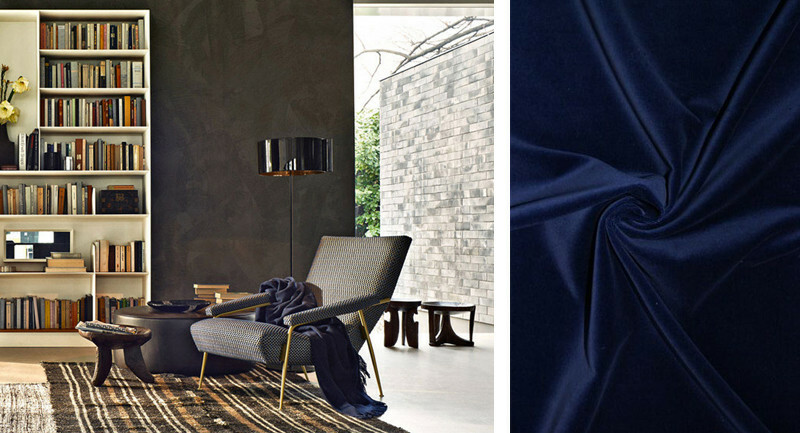 Upholstered in Rubelli Punteggiato Velvet, we recommend the Molteni&C Gio Ponti D.153.1 Armchair for a plush and decadent yet modern addition to your home. When we visualize a modern room, we think of glossy textures and surfaces that communicate a sleek and simple appearance. Reflective textures optimise the amount of light within a room and create a space with a clean and airy design. 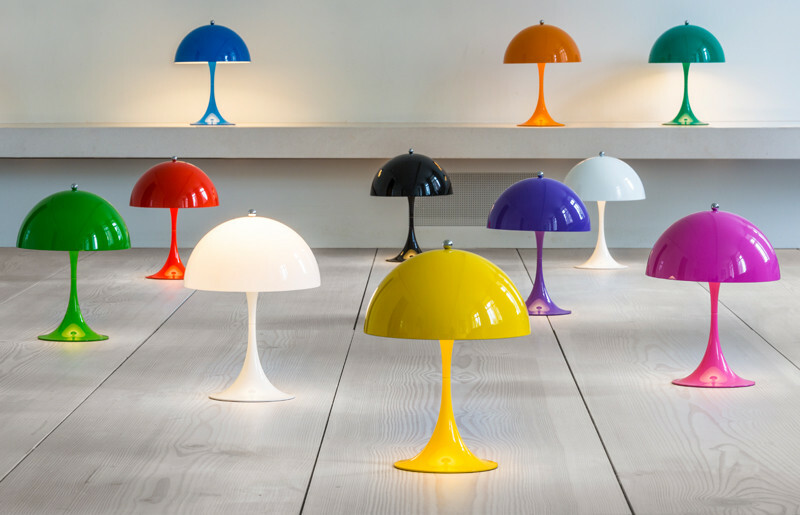 The Louis Poulsen Mini Panthella Table Lamp crafted with an opal acrylic finish, provides an ideal way of injecting a glossy, sleek texture into your space. It is great example of the sleek, shiny finish we associate with contemporary design. Copper, definitely the metallic of the moment, can be used to create this effect across a range of items. 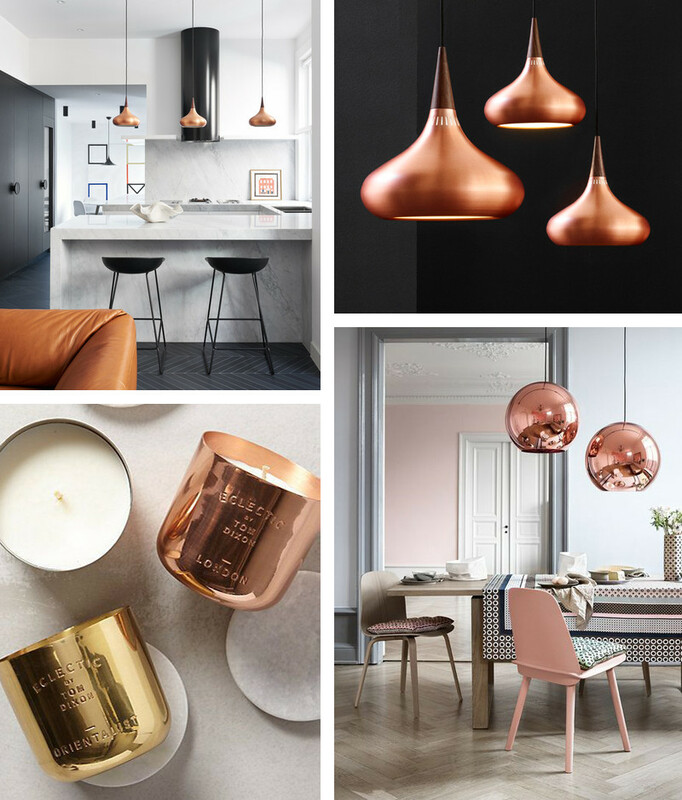 Here at Nest, we’ve picked out our favourite copper pieces from the likes of Tom Dixon , and Lightyears. Pictured: Lightyears Orient Pendant Light, Tom Dixon Scent Candle London and Tom Dixon Copper Round Pendant Light. Source 1, 2, 3. Leather is not only extremely hard-wearing but also easy to maintain. Any spillages can easily be wiped off with a damp cloth. Also a very long lasting material, leather only gets better with age, softening over time. Leather is a material best suited for upholstering armchairs and sofas. Avoid placing leather in direct sunlight as it may fade and discolour. 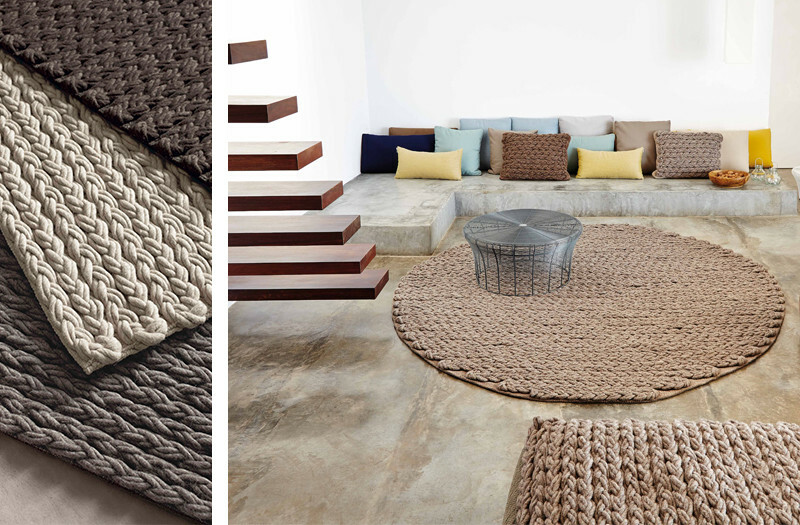 Most commonly used within rugs, Jute is a natural fibre derived from dried plant fibres. It is a low maintenance material that only requires regular vacuuming to maintain it but masks dirt discretely due to its natural colouring. Avoid using jute within a humid or damp environment because it is extremely absorbent and will become mildewed and mouldy. Also avoid placing it in direct sunlight as it can fade over time. Due to the resilience of the natural fibre, wool is an extremely durable material. It is both strong and resilient and, if used within a carpet or rug, will easily stand up to heavy traffic use. As an opaque fibre that neither refracts or reflects light, it is ideal for hiding dirt compared to other fibres. However, due to its high absorbency, it is a must that you avoid spillages as it will become easily stained. Linen is by far one of the most long lasting materials due to its high strength and durability. It is ideally used for cushions, curtains and bed linen. Avoid folding linen when storing it as it will wrinkle and crease easily. Always hang it up instead! Ideal for curtains, bedding and other soft furnishing, cotton is a strong and durable fabric that does not fade easily in direct sunlight. 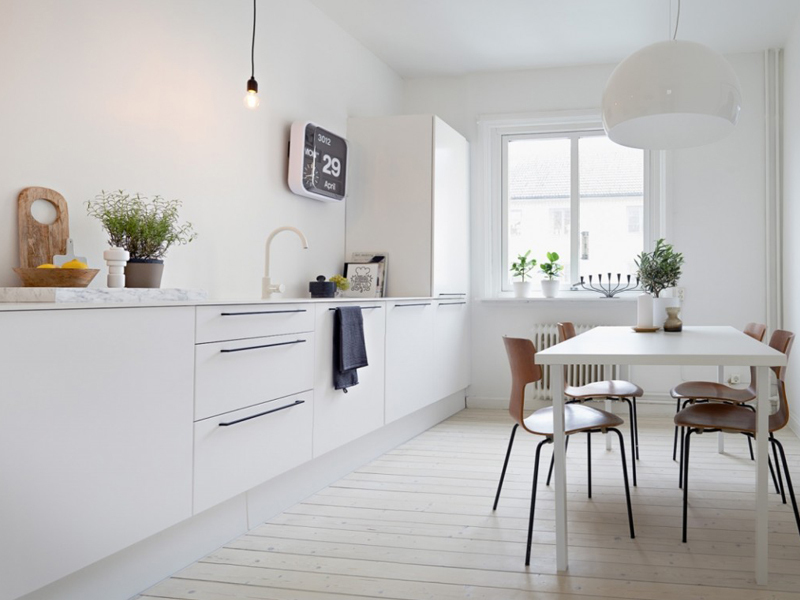 Wooden furniture has a durability that beats all other materials. It can be used with other materials such as glass and leather to create interestingly versatile pieces. 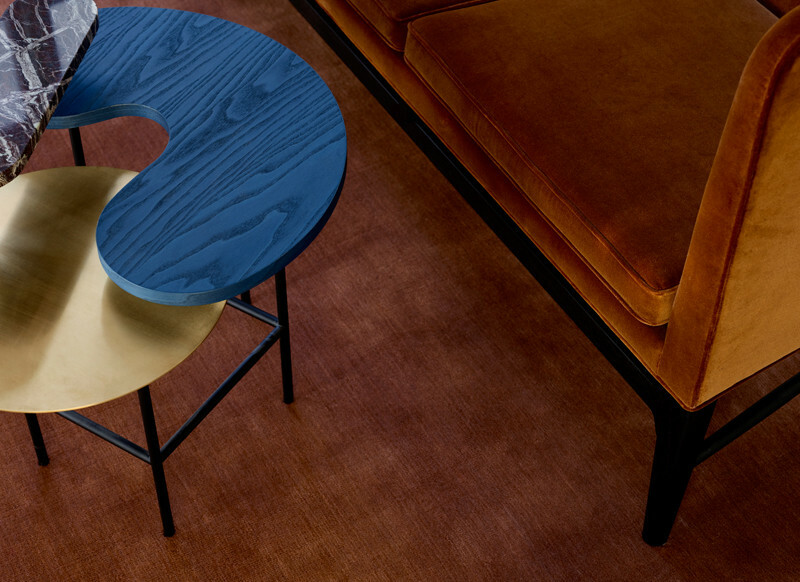 It has a number of different finishes and can be used to manufacture almost any type of furniture.